Woody would be so proud. I recently downloaded the 1.2 gazillion photos that were stored on my phone and found a treasure trove of winners to feature here on “I Dressed Myself.” This series is from January (yes, my dear, I know I shouldn’t leave photos on my phone for that long — it won’t happen again). Because stripes match with stripes, right? And the only thing more awesome than having a Halloween shirt that says “Got Candy?” on it? Wearing that shirt in January after you discovered it hiding in a storage bin under your bed. 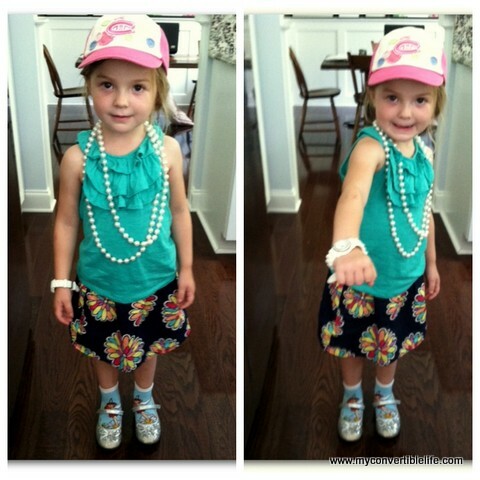 Big thanks to Suzanne over at Pretty*Swell for sharing this spectacular photo of her daughter’s recent fashion choices. Because sometimes a birthday suit is the best suit to wear, as long as you have the right shoe(s). I’m not sure what I love most — the dimples above her tush, the gorgeous creases in her legs or the fact that she’s wearing just one little shoe. This lovely ensemble is what Pippi selected to wear the day we went car shopping. Because nothing says “I’m serious about spending money” like a quirky combination of accessories. Not surprisingly, one of the hardest things about preschool and Pippi is getting her dressed in the morning. There are the outfits I pick out (weather appropriate, cute and stain-releasing), there are the outfits she picks out (none of those other parenthetical things), and then there’s whatever compromise she walks out the door wearing. But now and then, she puts on something that isn’t so much what I wanted her to wear but is somehow totally her. 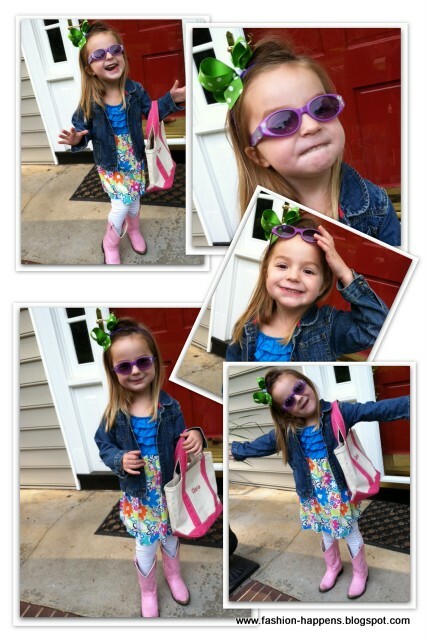 That’s a too-short dress from last summer, white leggings, pink boots, denim jacket, green polka dot hairbow, her school bag and some purple shades. Oh, and her breakfast still in her cheek. 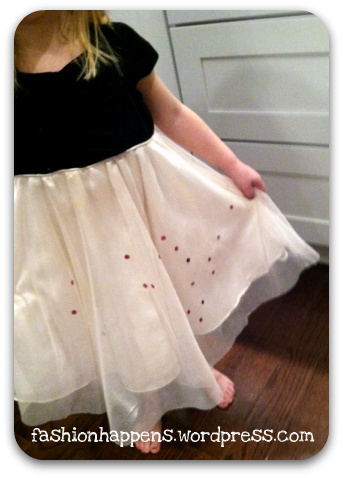 Have a special self-dresser you want to feature on the blog? Let me know in the comments! Pippi is too young to know the infomercials for the Bedazzler, but that doesn’t mean she can’t invent her own. Apparently these Crocs weren’t fancy enough for her. But two sheets of Target sticker gems later, and she’s good to go. 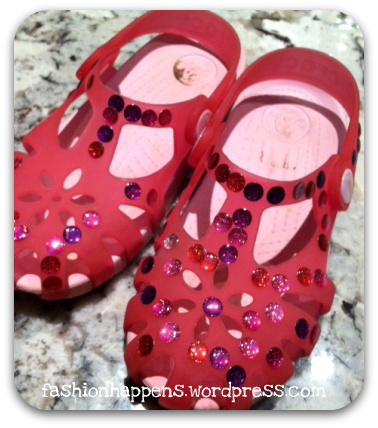 And if the shoes look that awesome, then why wouldn’t she decorate her dress-up dress to match. Am I right? Got anything you want to bedazzle in your wardrobe? This little guy comes to us courtesy of Mannly Mama, a local blogger I had the good fortune to meet over tater tots recently. 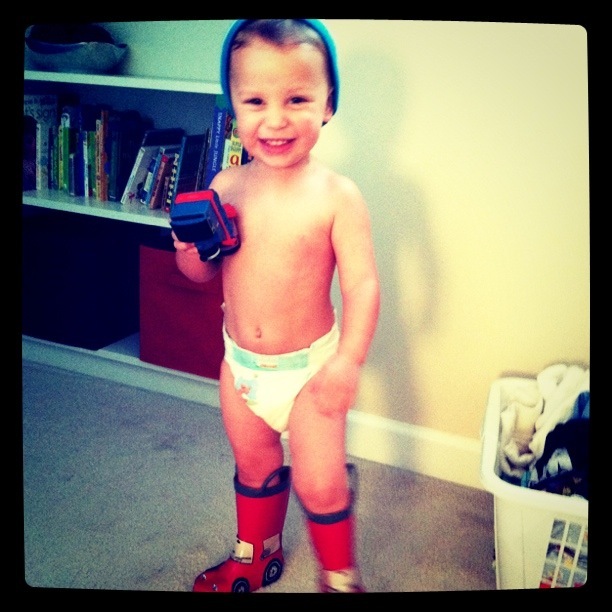 On this particular day, it was her husband’s morning to get their son ready. So Landon decided to help his dad out by getting a jump start out of the dress up pile. Tobaggan, rain boots aaaaaaand we’re ready to go! Pants? Those are soooo last week. Have a guest dresser at your house? 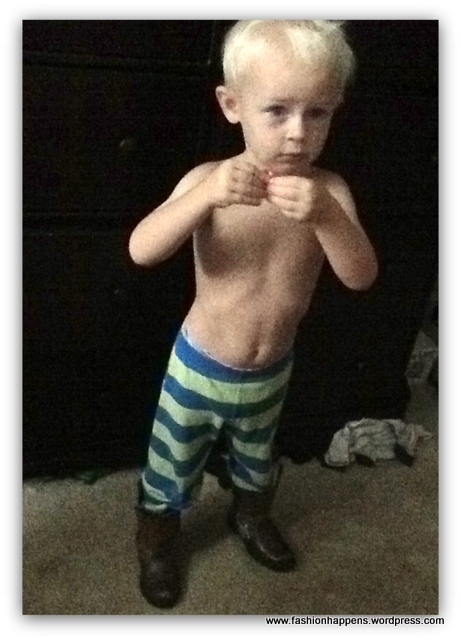 Want to share a favorite photo for “I Dressed Myself”? Just leave a note on the Facebook page and I’ll connect with you to feature your fashion star.